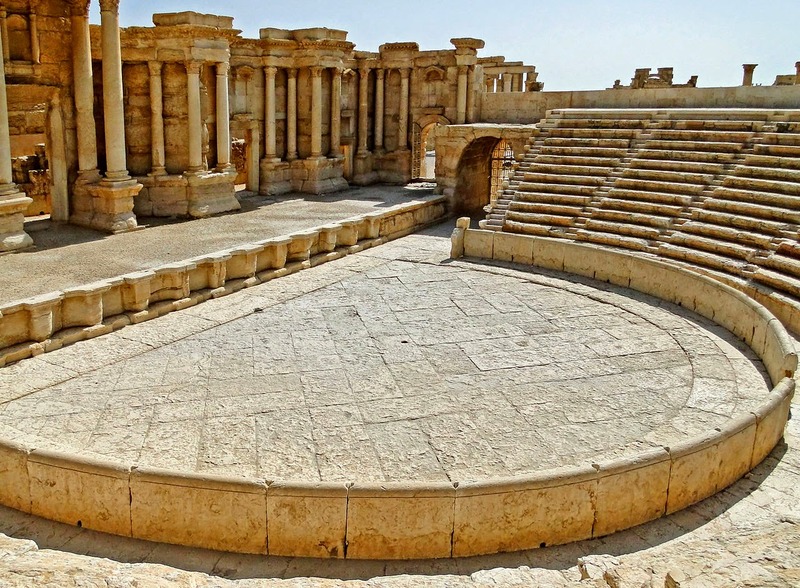 The Roman Theatre is located in ancient Palmyra in the Syrian Desert. 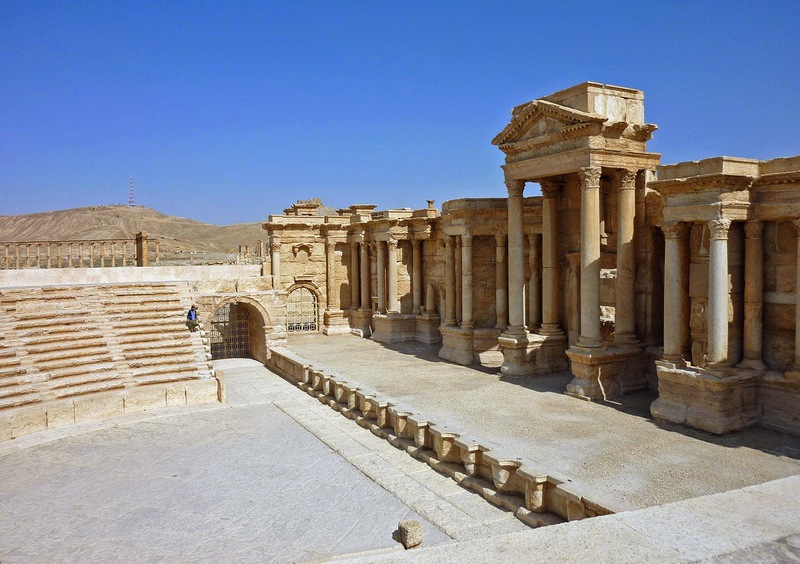 The incomplete theatre dates back to the 2nd century CE Severan period and remains have since been restored and in the recent years have seen life begin to seep back into the theatre with an annual calendar of events now taking place such as the Annual Silk Route Festival and the Palmyra Festival. 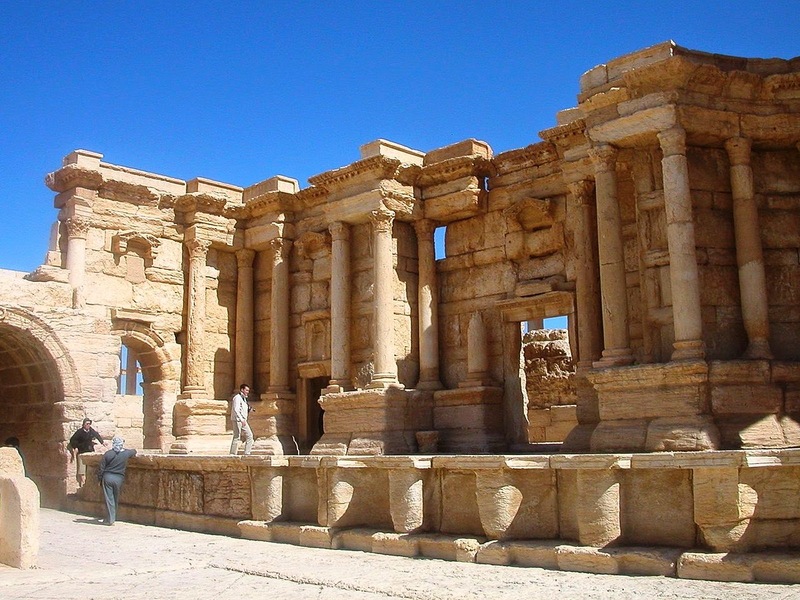 During these festivals it’s a very exciting time for foreigners to visit Palmyra as they are encouraged to join in the festivities. 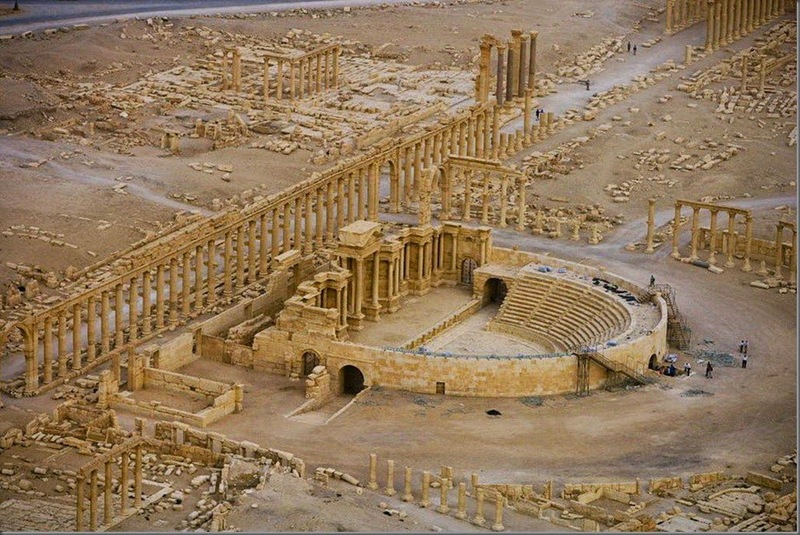 The theatre was constructed in the center of a semicircular colonnaded piazza which opens up to the South Gate of Palmyra. The piazza was situated to the south-west of the main colonnaded street. The uncompleted cavea is 92 meters in diameter and contains only of an ima cavea, the lowest section of the cavea, directly surrounding the orchestra. The ima cavea is organized into eleven cunei of twelve rows each and faces north-northeast towards the cardo maximus. 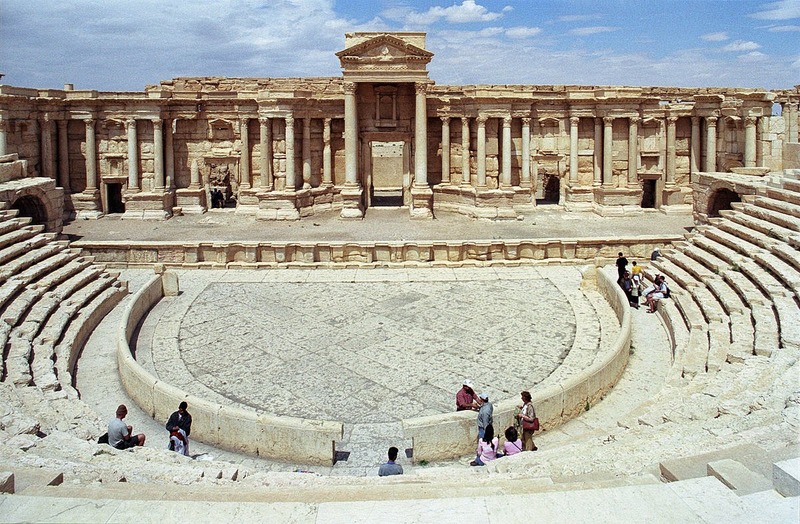 The theatre's aditus maximus, its main entrance, is 3.5 meters in width, and leads to a stone-paved orchestra with a diameter of 23.5 metres. The orchestra is bounded by a circular wall with a diameter of 20.3 metres. The proscenium wall is decorated with ten curved and nine rectangular niches placed alternately. The stage measures 45.5 by 10.5 metres and is accessed by two staircases. 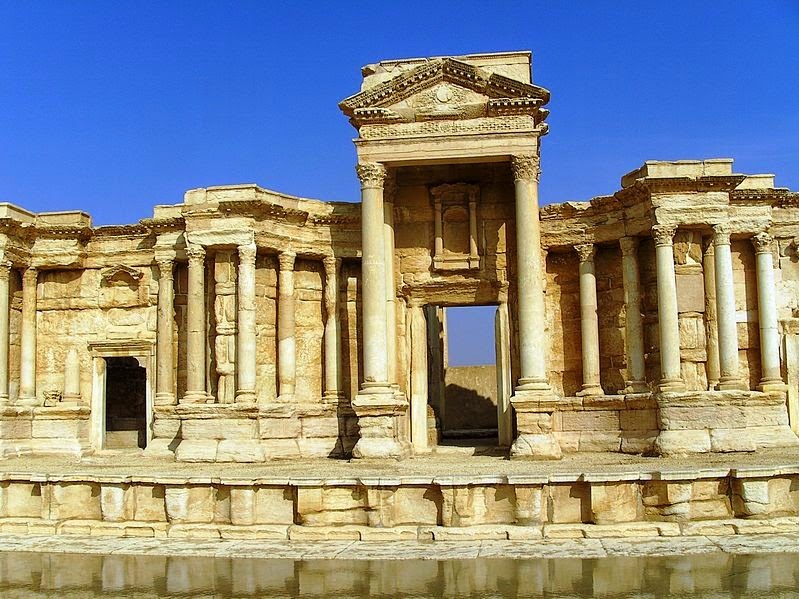 The scaenae frons had five doors and the main entrance, or regia, built in broad curved niche; two guest doors on either side of the regia, or hospitalis, constructed in shallow rectangular niche; and 2 extra doors on either end of the stage. Emperor Nero was famous to have placed his statue in the niche of the regia of the theatre at Palmyra. The columns at the stage are built in the Corinthian order. In the 1950s the theatre was cleared from the sand and subsequently and underwent of extensive restoration works in the early 1990’s.